K’JIPUKTUK (Halifax) - The Ecology Action Centre welcomes the announcement of investment in food issues and energy efficiency in the 2019 federal budget. Investments in efficiency and food issues have vast returns for the environment, society, and the development of a Green Economy. 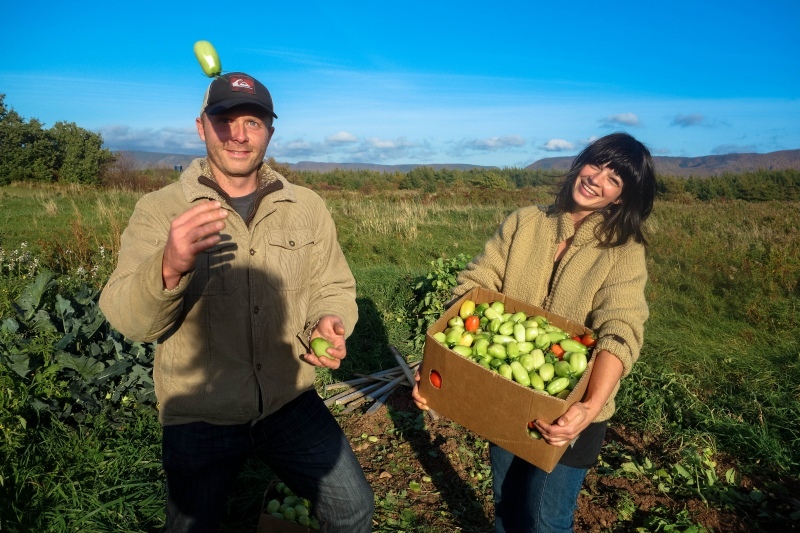 For over 10 years, the EAC has been a leader in Nova Scotia and across Canada in programs and policy expertise relating to food and energy efficiency. The Ecology Action Centre is also pleased to see investment in electric vehicles and a just transition for coal workers and communities. We are also pleased that the federal government intends to work with provinces and territories to develop a National School Food Program. “Ensuring that all students in Nova Scotia have access to healthy food in schools is essential for their learning and well-being. With additional government commitments, Canada will no longer be the only G7 country without a national school food program,” says Ramen. In addition to the investment into food sustainability, the government’s investment of $1.01 billion into efficiency is a significant win for all Canadians. Investments of this kind will lead to more than 118,000 green jobs across Canada, while significantly reducing greenhouse gas emissions and giving a boost to energy affordability and our economy. “This investment will set us on the path to achieving Canada’s buildings goals from the Pan Canadian Framework, and achieving these goals will get us a quarter of the way to our Paris Climate Commitment,” said Emma Norton, Energy Conservation Coordinator. While we celebrate this win, we are not losing sight of the fact that the Pan-Canadian Framework will not achieve the greenhouse gas emissions reductions the world needs to avert catastrophic climate change. Overall the budget does not reflect or respond to the urgency of the climate crisis. We need to approach climate action like the fight for existence that it is, making investments comparable to those made in war-time. The Intergovernmental Panel on Climate Change has said that actions at all levels of government, particularly at the federal level, need to be consistent. We are particularly disappointed that the government is not moving faster on phasing out harmful subsidies for fossil fuels and other extractive industries - we know that more than 80% of known fossil fuel reserves need to stay in the ground to avoid the worst of climate change, and spending public dollars to subsidize the exploration for more fossil fuels is a giant step in the wrong direction. One of the budget’s more disappointing aspects was a notable lack of investment in the ocean. No new money was allocated for action on fisheries or plastics despite depleted Canadian fish stocks and a desperate need for further investment to mitigate marine pollution - an issue which the government has promised to tackle with bold redress in the past. On marine protection, Canada reaffirmed its commitment to the development of a marine conservation area and a “conservation economy” in the High Arctic Basin, but no further funding was dedicated to that cause. We look forward to the Federal Government following through on these commitments and providing the necessary details to be fully transparent with the public.